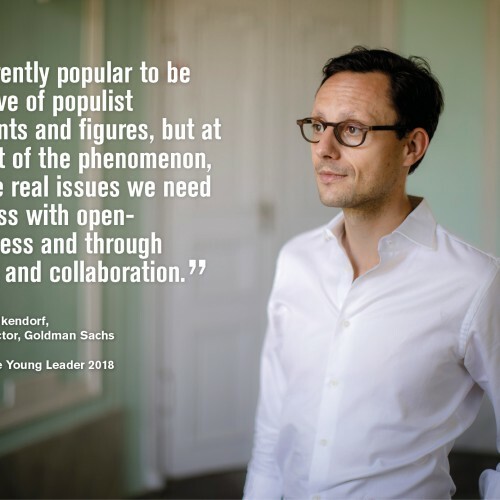 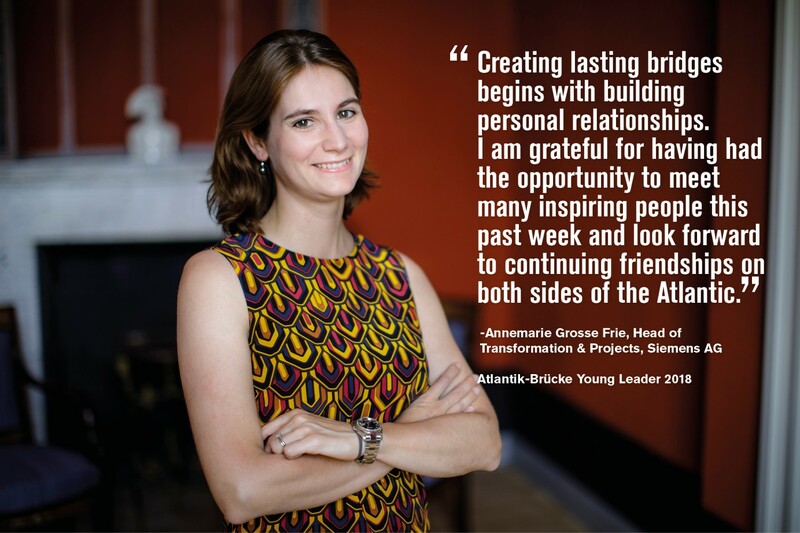 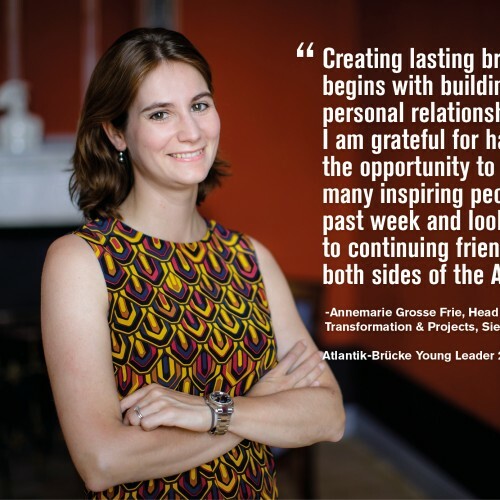 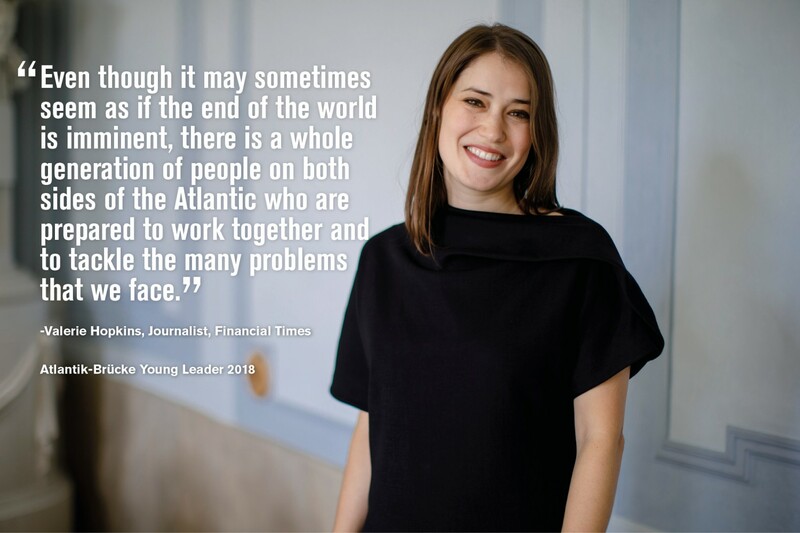 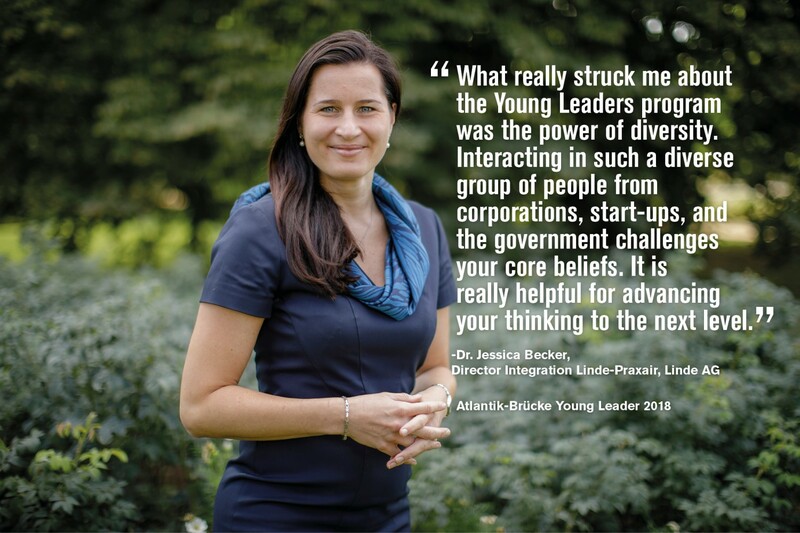 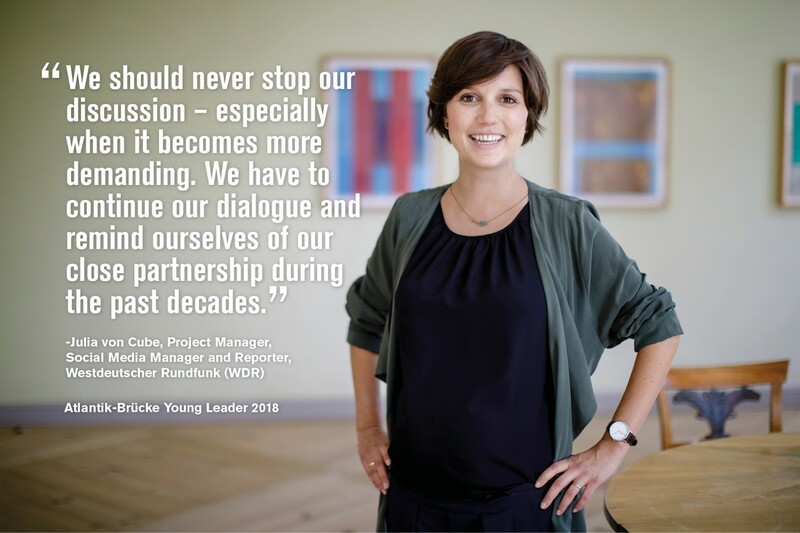 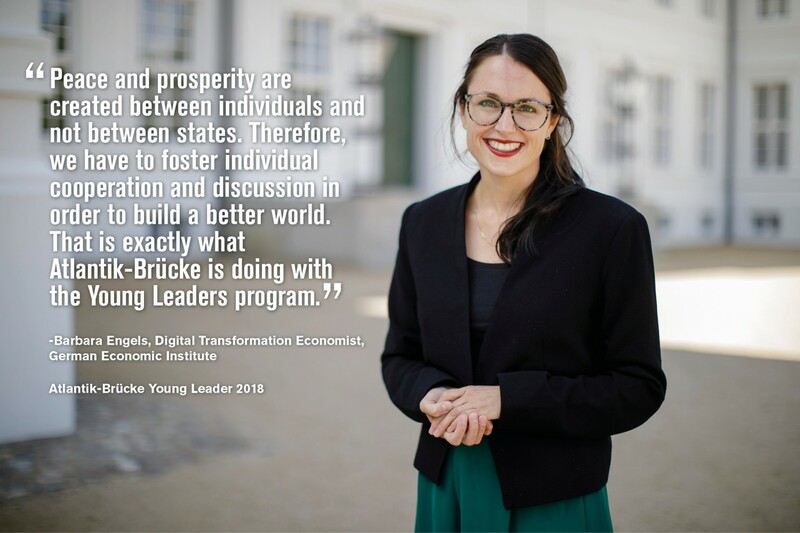 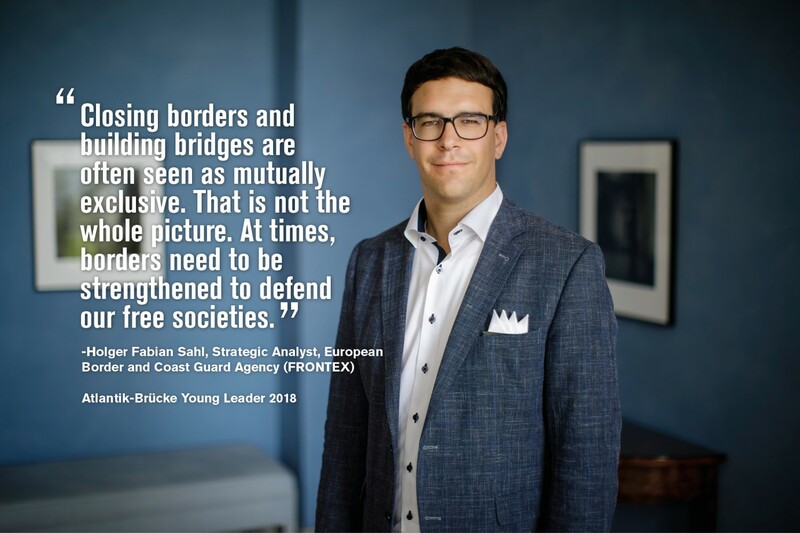 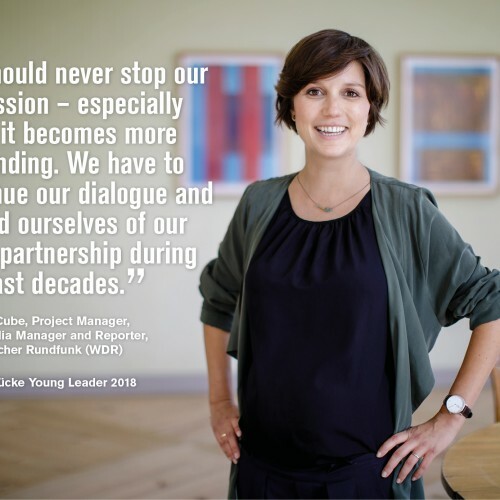 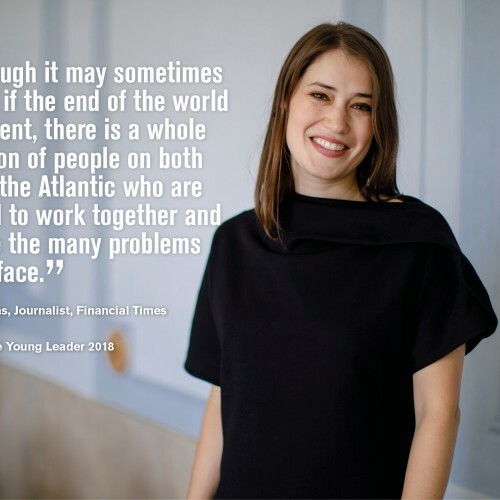 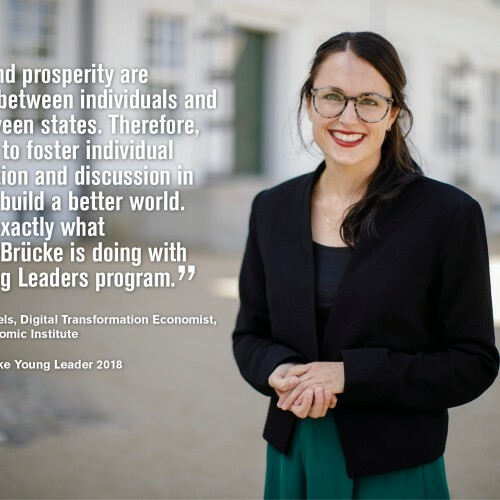 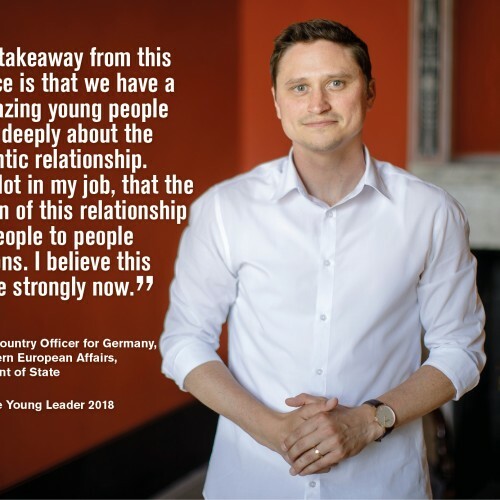 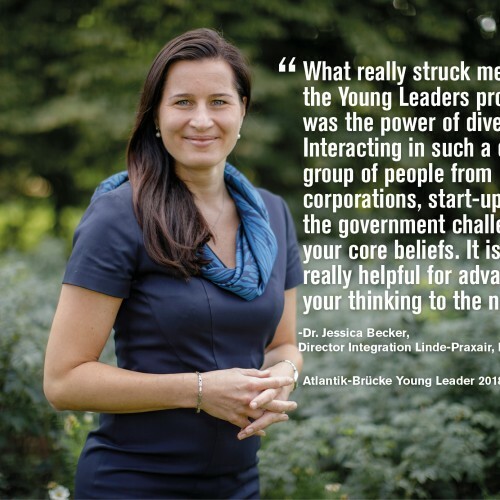 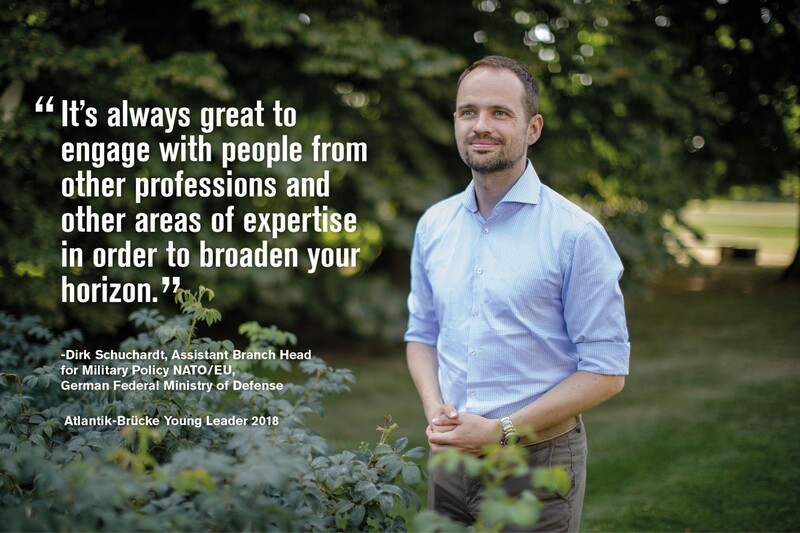 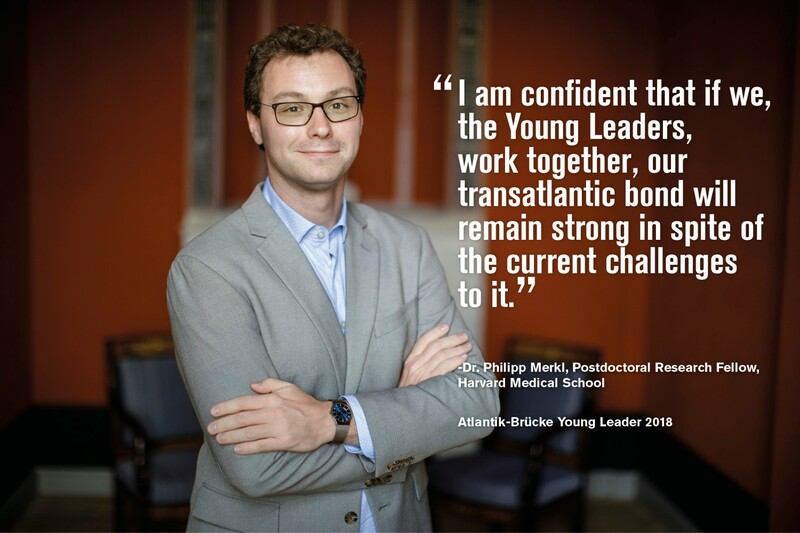 The Young Leaders Program - Atlantik-Brücke e.V. 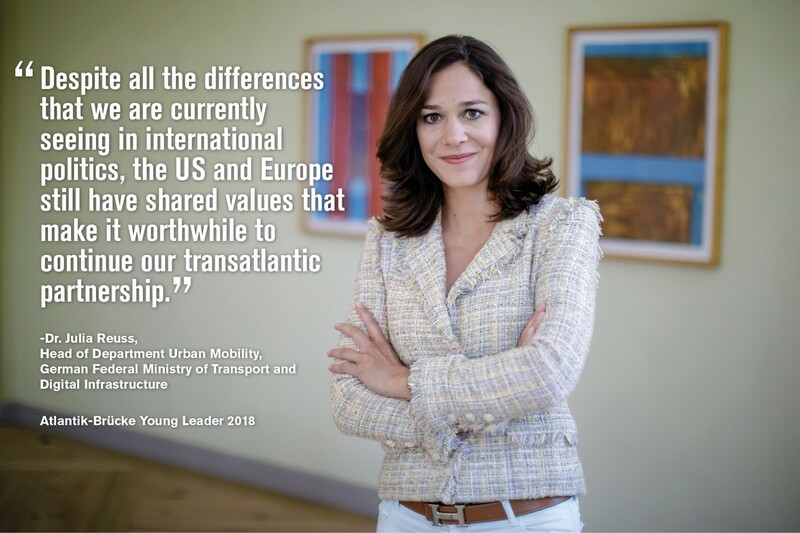 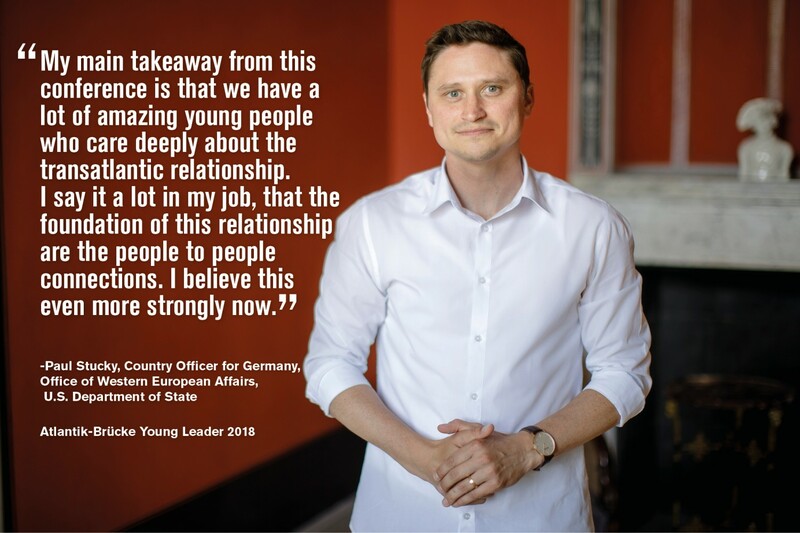 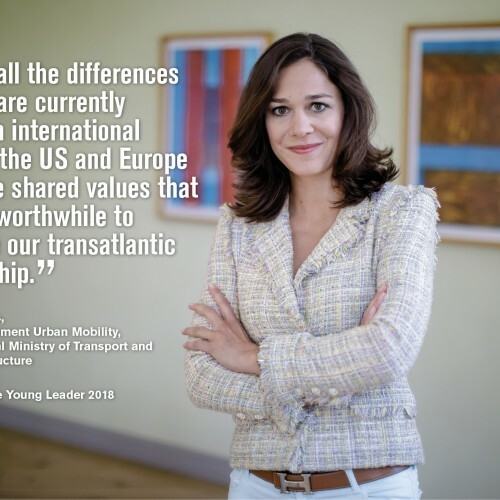 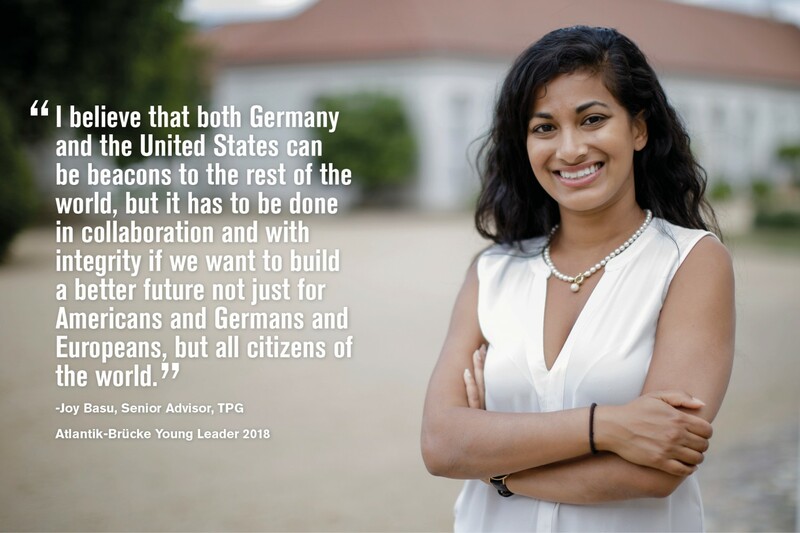 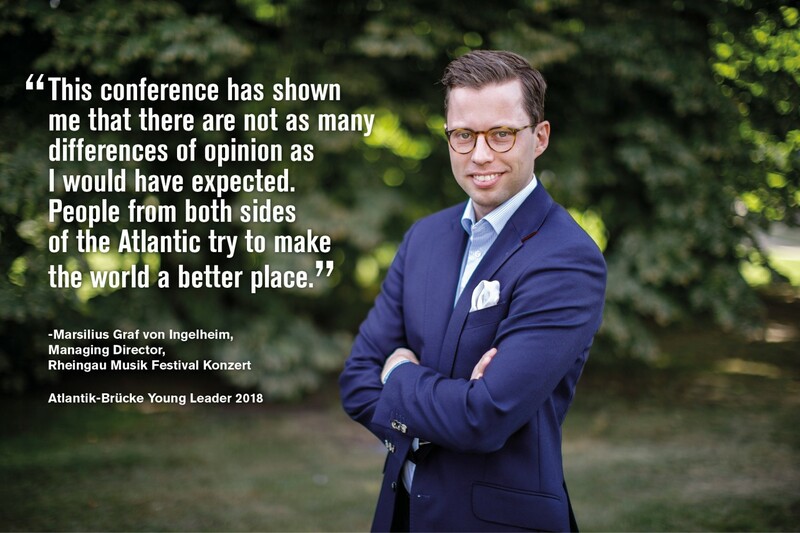 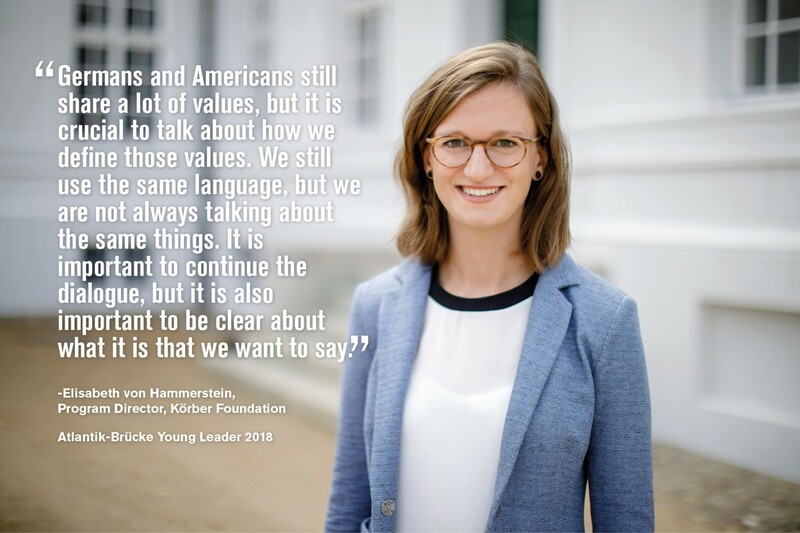 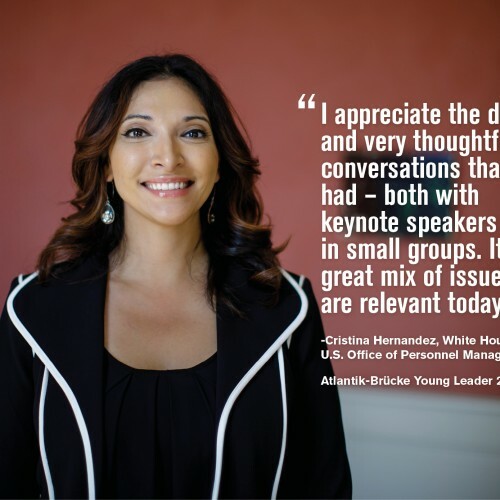 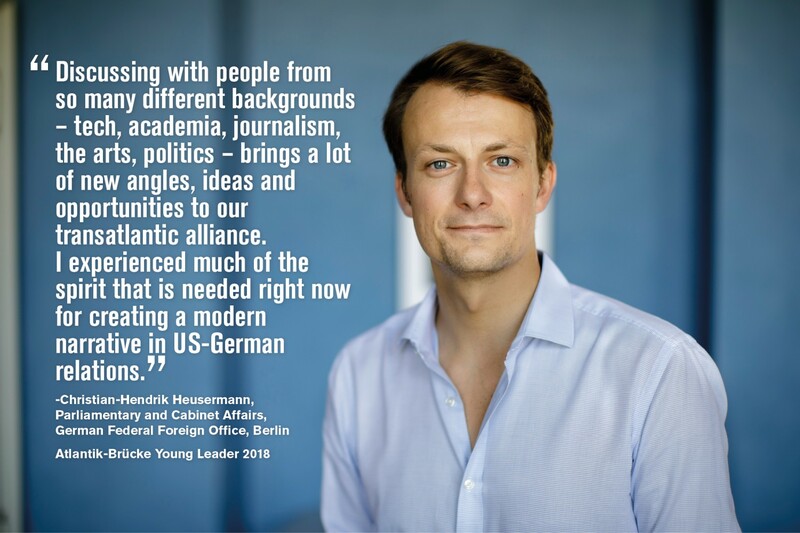 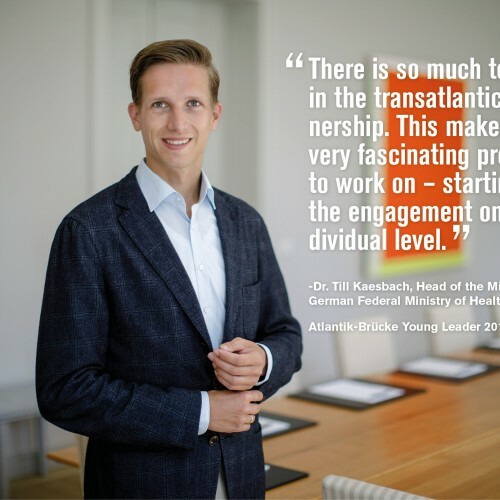 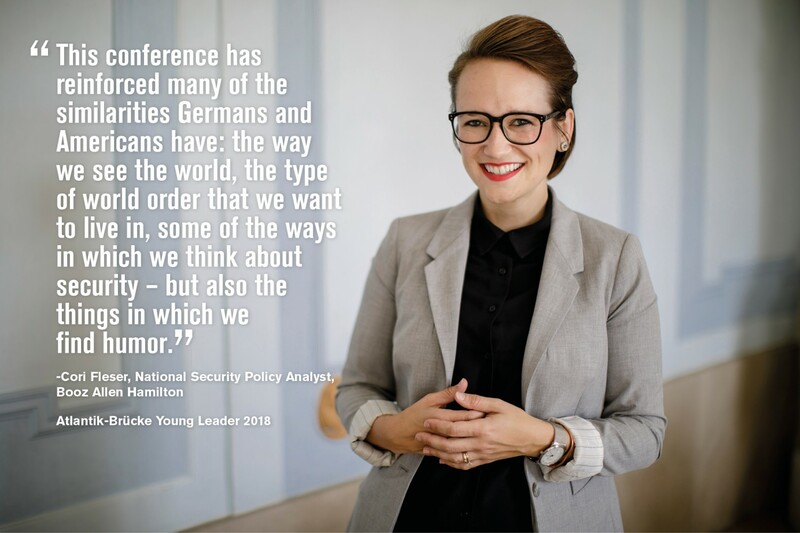 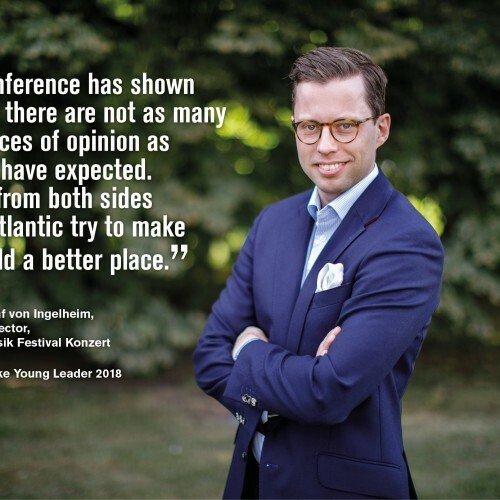 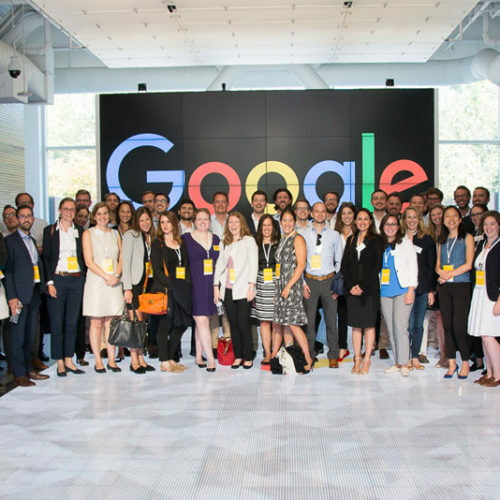 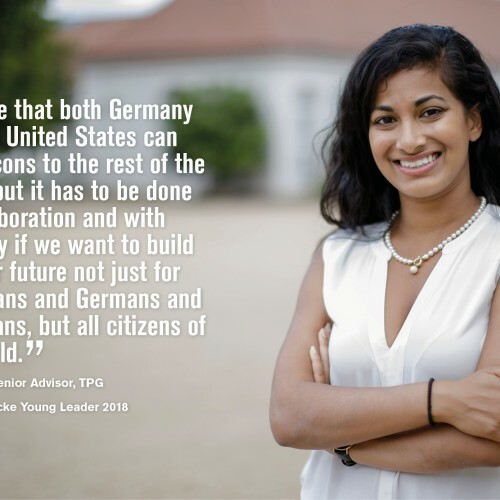 The annual German-American Young Leaders Conference offers participants the opportunity to engage in an intensive and interdisciplinary exchange on current transatlantic issues and to build both professional and personal bridges across the Atlantic. 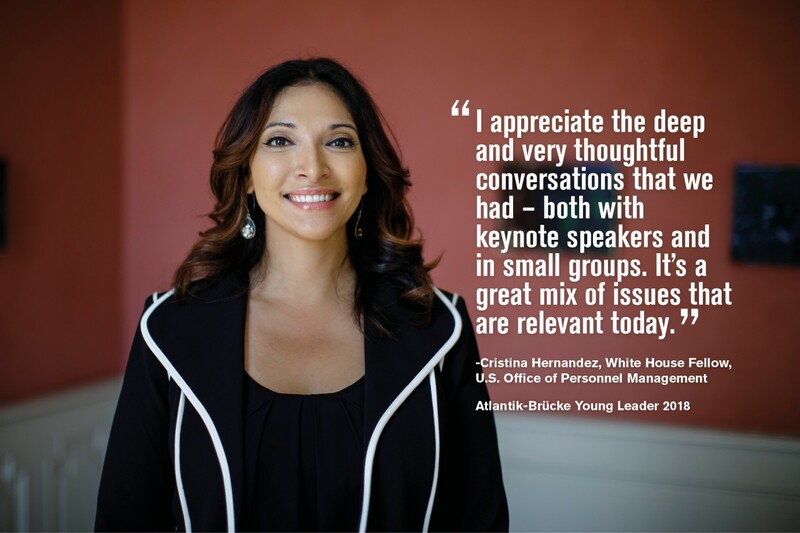 Leading public figures are invited to join the group as guest speakers. 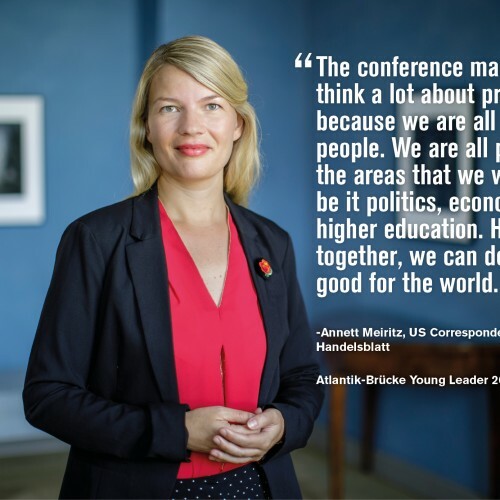 Pressing domestic, bilateral, and global issues are discussed at the conference. 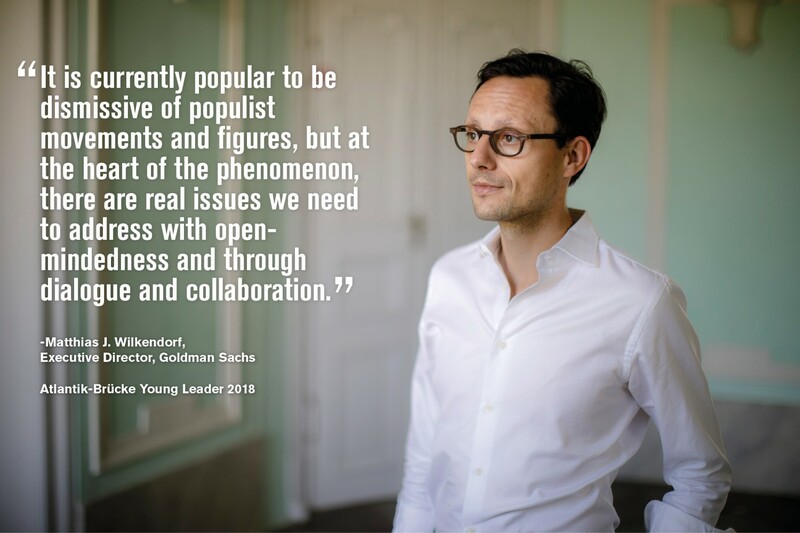 Most recently, the focus has been on the rise of populism, for example, or on the socio-economic implications of the digital transformation. 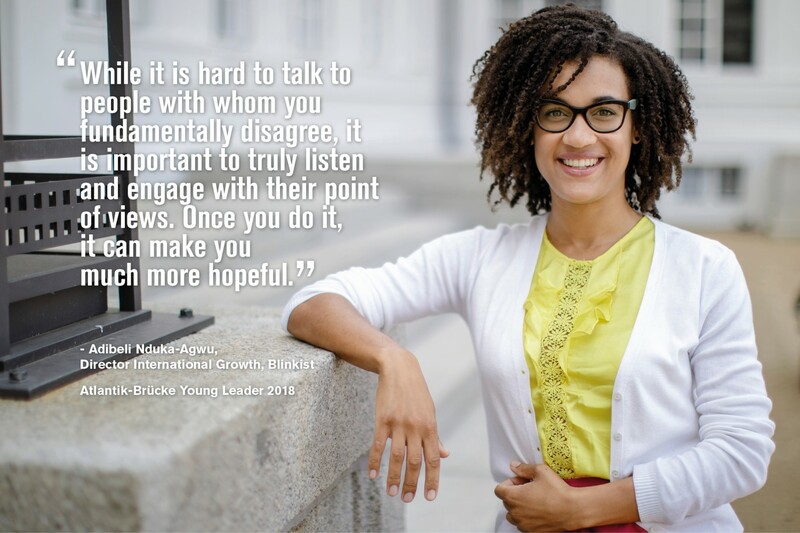 How Do You Become a Young Leader? 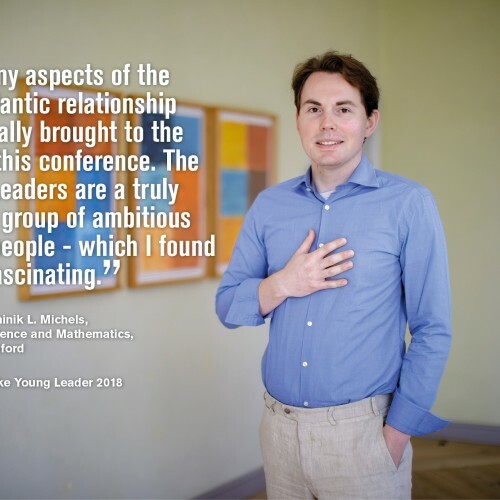 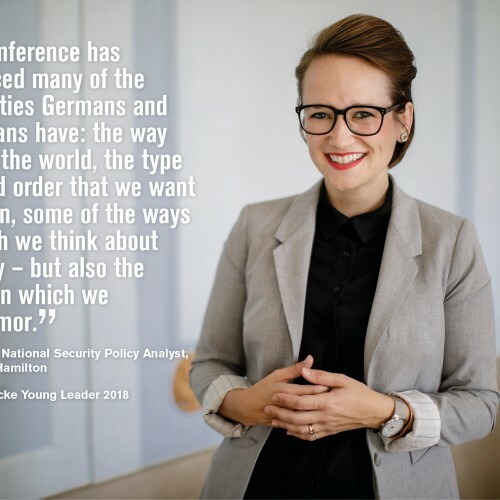 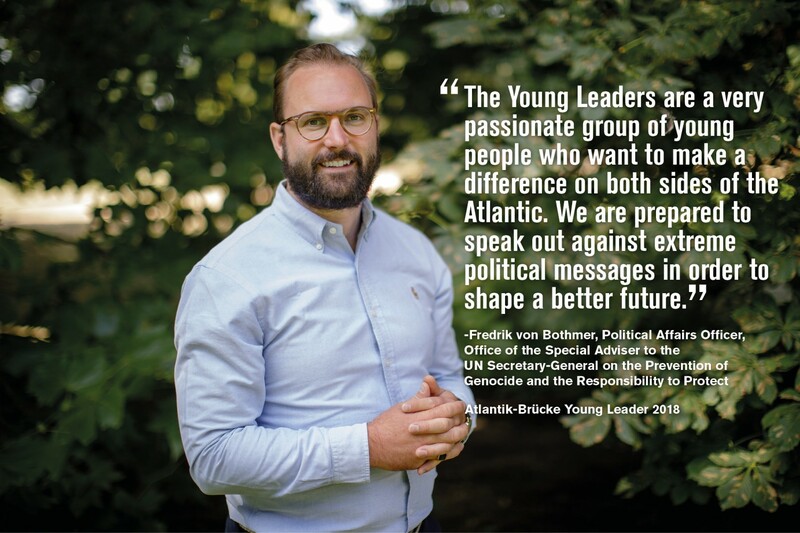 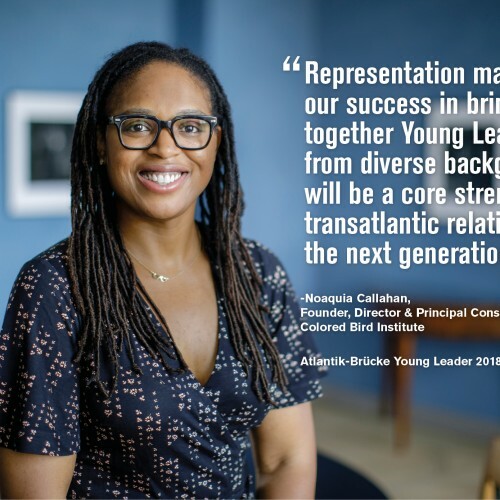 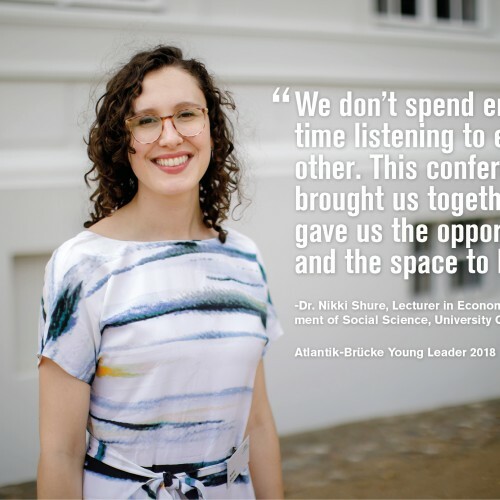 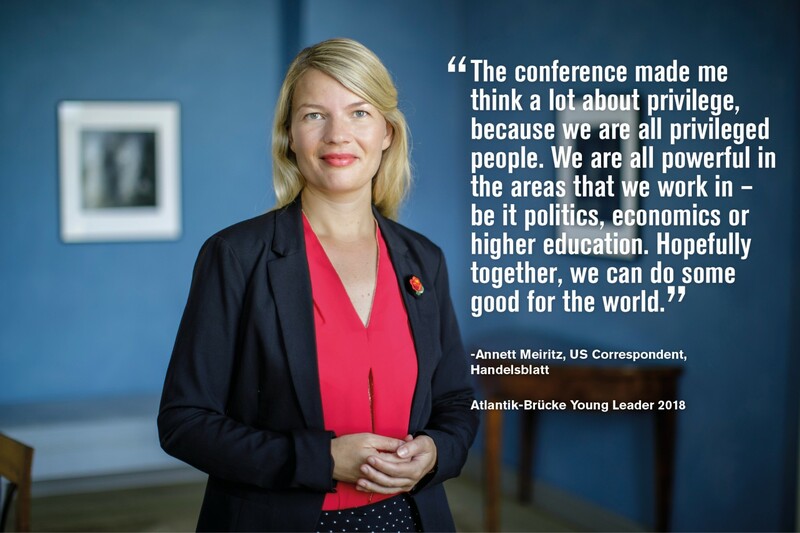 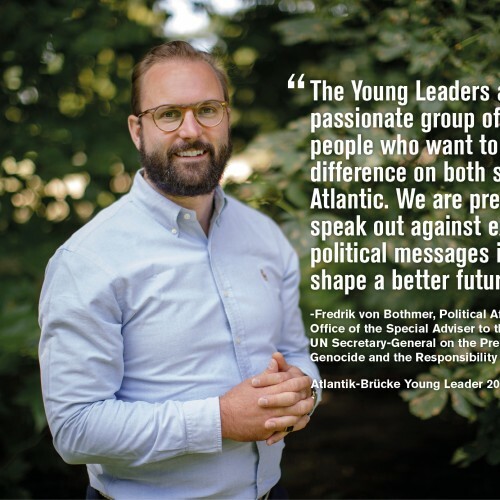 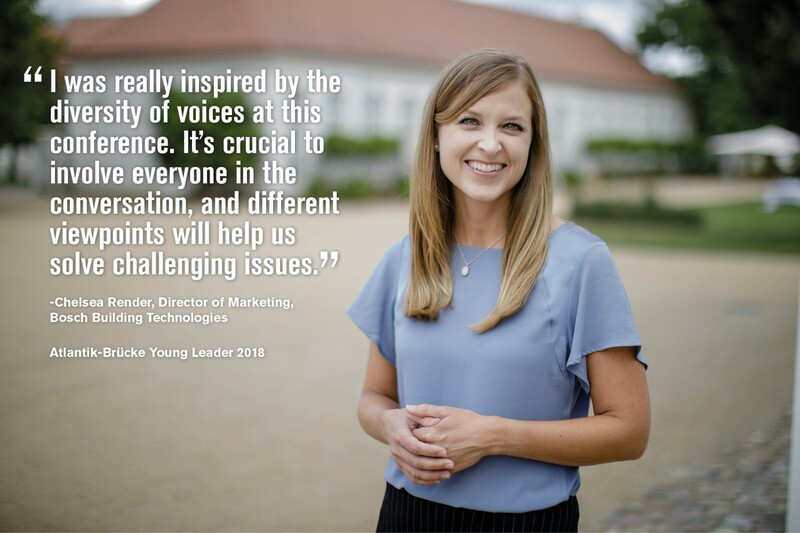 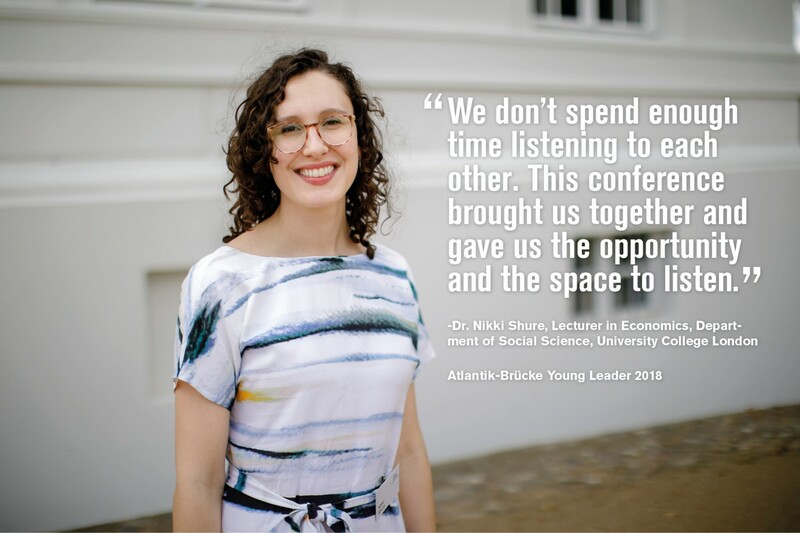 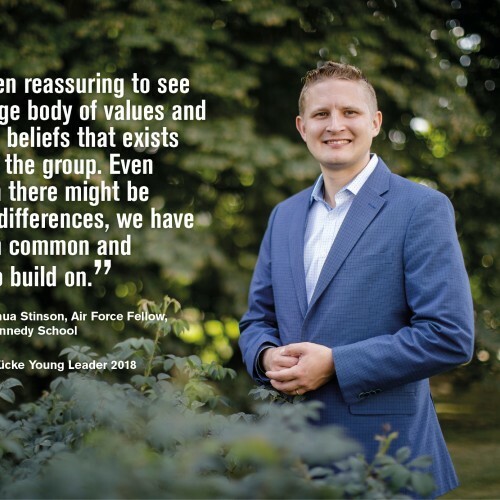 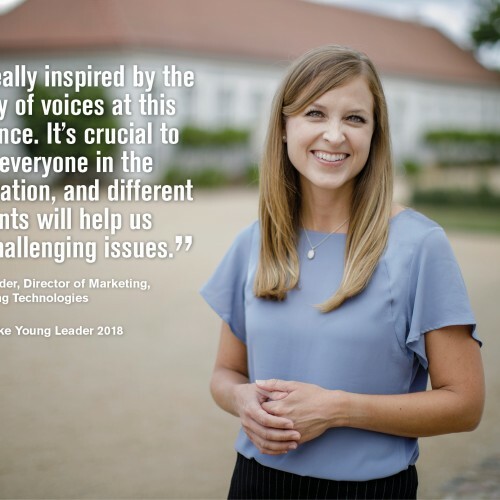 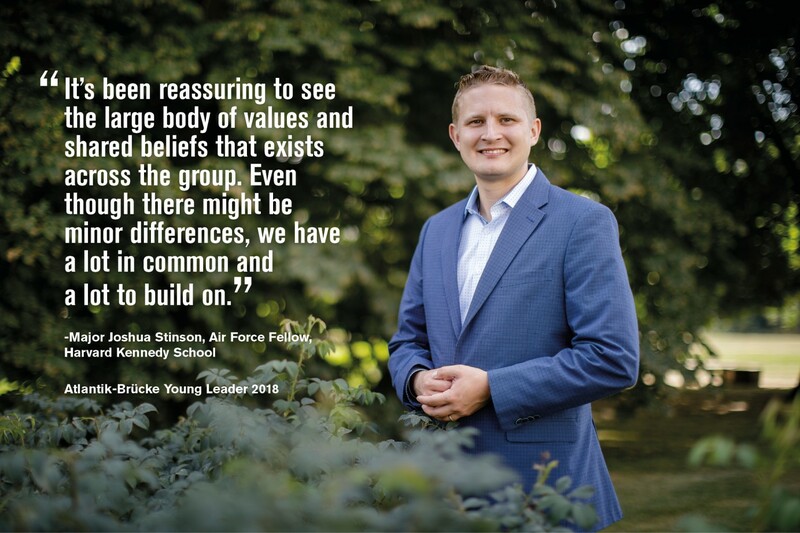 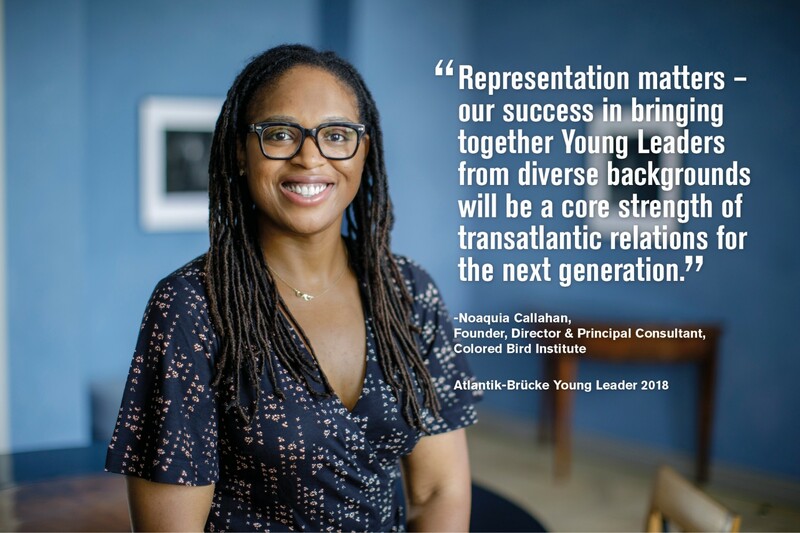 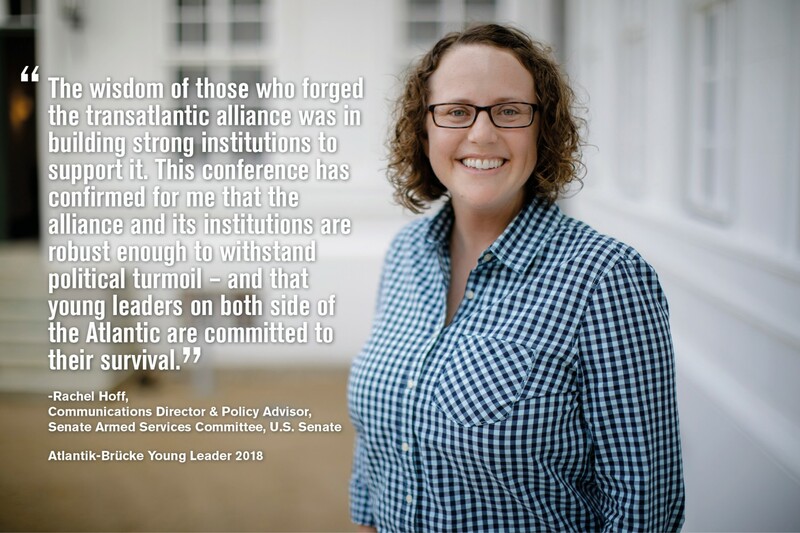 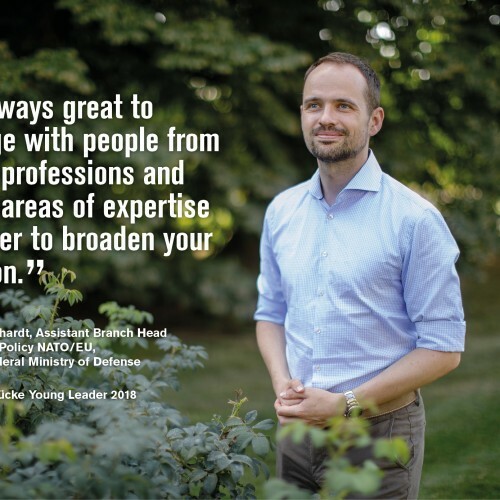 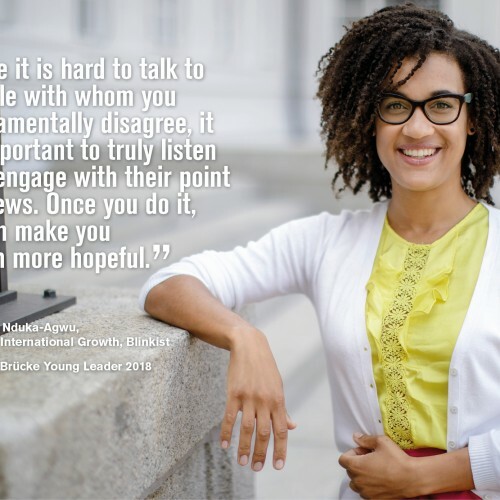 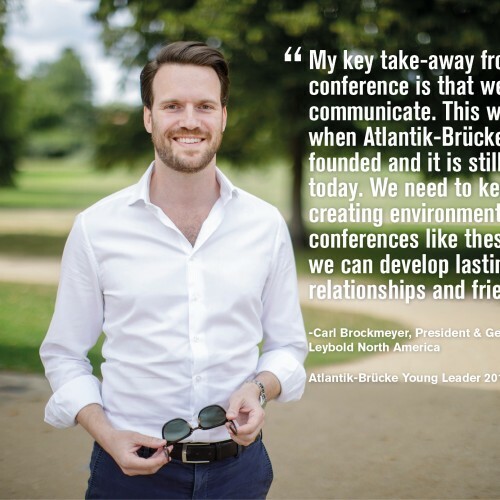 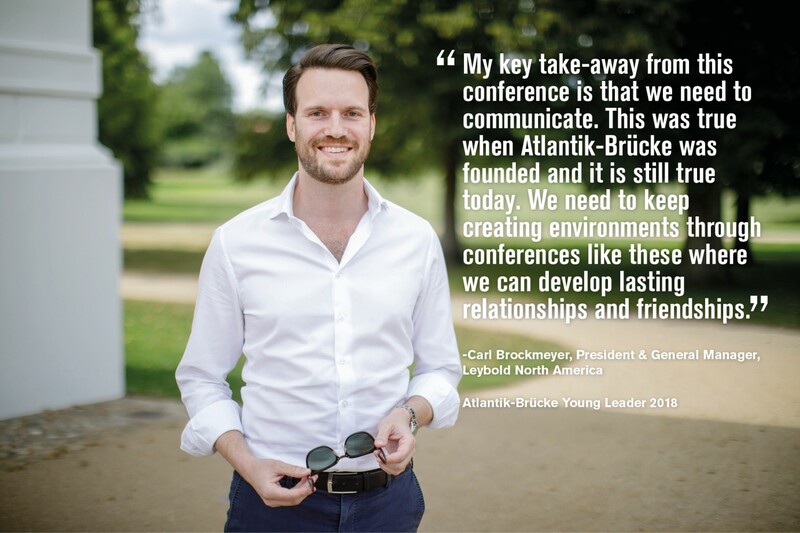 In the fall of each year, Atlantik-Brücke members and Young Leaders Alumni have the opportunity to nominate German and American candidates between the ages of 28 and 35 for the next Young Leaders Conference. 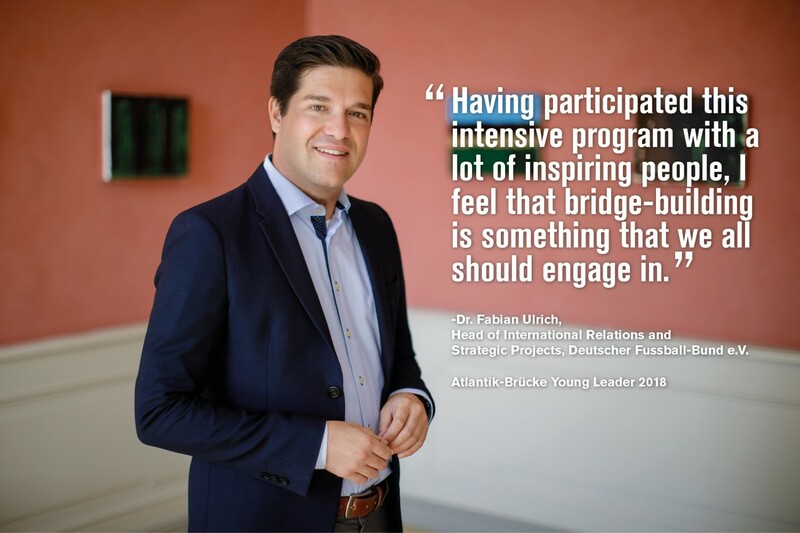 These nominees are then invited by Atlantik-Brücke to apply for participation in the program. 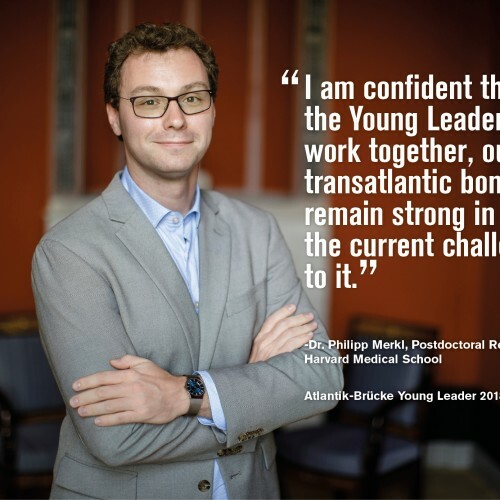 All applications are reviewed by a selection committee which finally chooses about 25 Americans and 25 Germans to become the next cohort of Atlantik-Brücke Young Leaders. 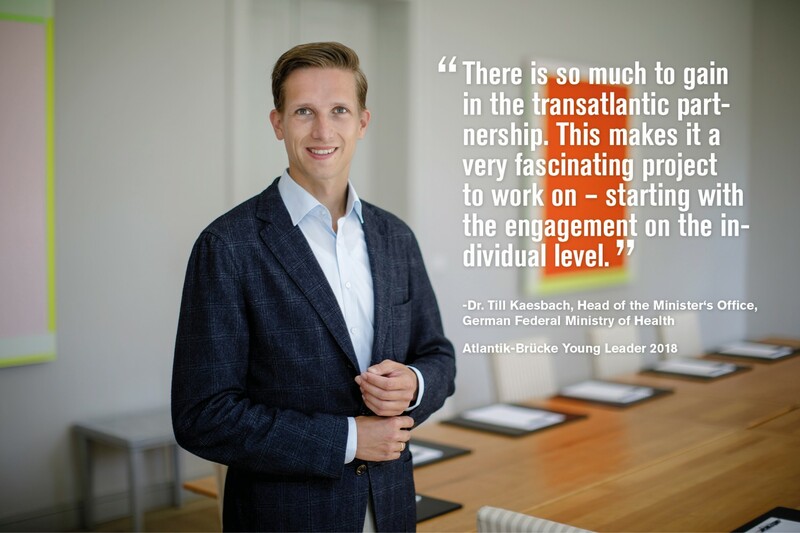 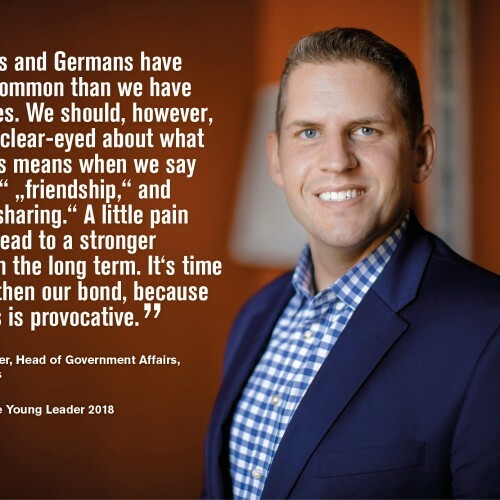 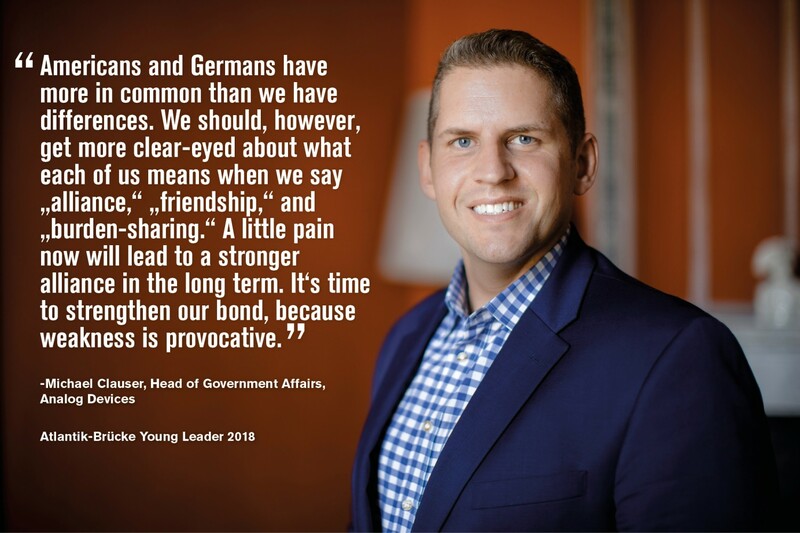 The German-American Young Leaders Program of Atlantik-Brücke exists since 1973. 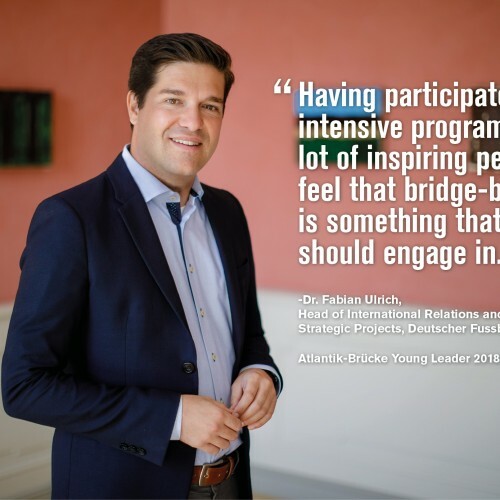 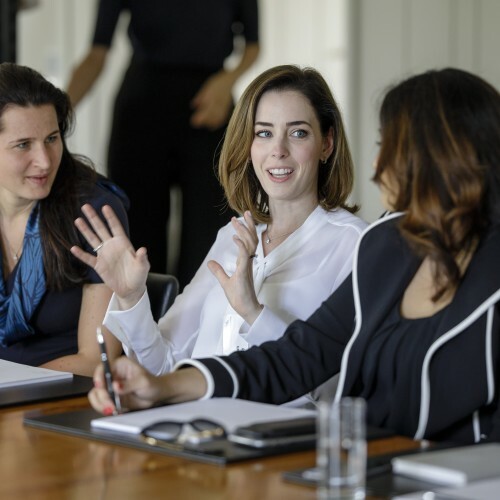 Atlantik-Brücke organizes regular events and conferences for the alumni of the program to promote the exchange of young talent across the Atlantic. 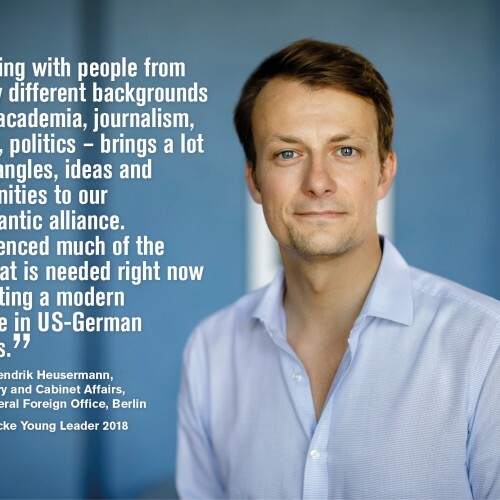 The alumni network currently comprises approximately 1,500 Germans and Americans. 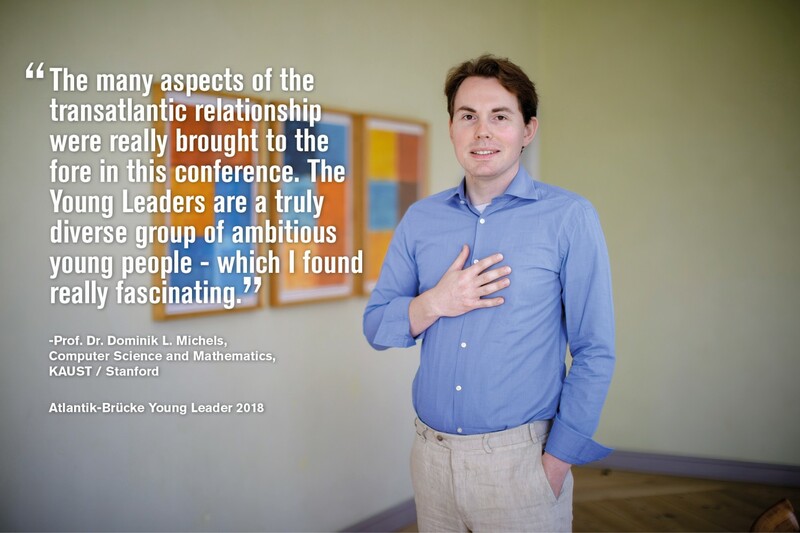 The Young Leaders Alumni can access a private online portal with a directory and additional information including special reports. 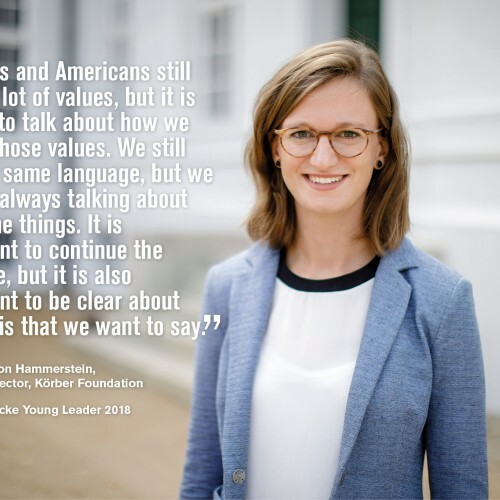 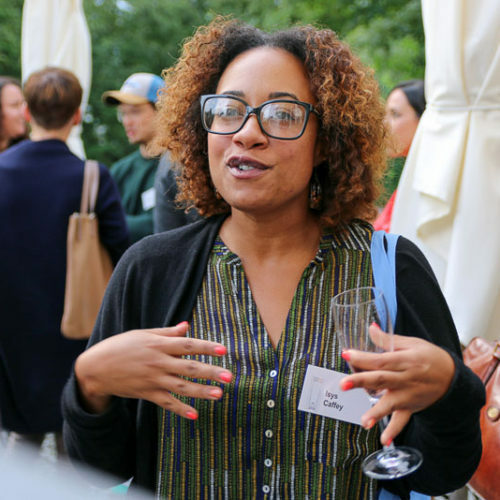 At Schloss Neuhardenberg in Brandenburg, forty-eight young professionals met for the 40th German-American Young Leaders Conference. 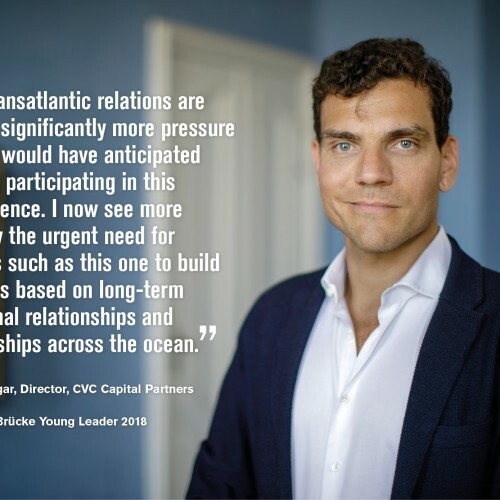 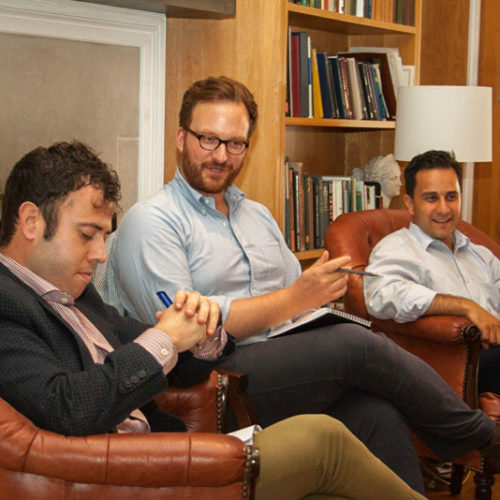 The discussions were shaped by one overarching topic: In the face of both external and internal pressures, what is the future of the transatlantic partnership?